In the songs of Marco Gesualdi there is the whole world. 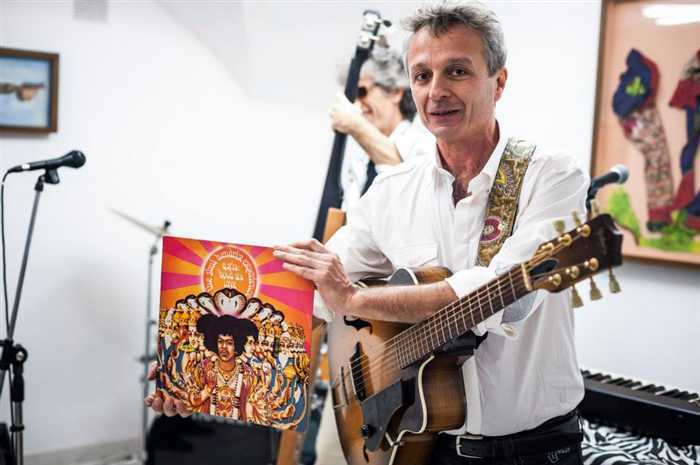 The same that could be found in the Naples of some time ago, what has been the effervescent home of Pino Daniele, James Senese and that has managed to give popular music an unrepeatable international flavor. Marco’s Apulian origins have mingled with this city, where he was born, he lived and worked, ending up on stage with Denovo and Avion Travel and living in first person another stage of Neapolitan renaissance in the Eighties, the so-called vesuwave . In the album NOW (Naples Open World) Naples is the horizon that stands out and infuses the sounds of pieces without a defined homeland, but rather, as we wrote, with a particular inclination to accommodate many languages ​​and as many cultures. The result is a circle of instruments and voices (seven songs only played and five even sung) that ended up involving forty musicians and voices. Among these, that of Simona Boo in Je suis la Mer, the single apripista the story of a journey (which starts from North Africa and arrives in Paris or Castelvolturno) that crosses the sea with the hope that it is of many migrants and that it is accompanied from an evocative and poetic videoclip born from the encounter between the artist and Andrea Ranalli, photojournalist several times in Africa to document life and culture stories of this world, with beautiful images of Senegal (collection point and departure point) ‘Europe, of the Sub-Saharan populations in a journey that lasts almost 2 years, to cross Mali, Niger, to finally arrive in Libya to be able to embark towards Europe). 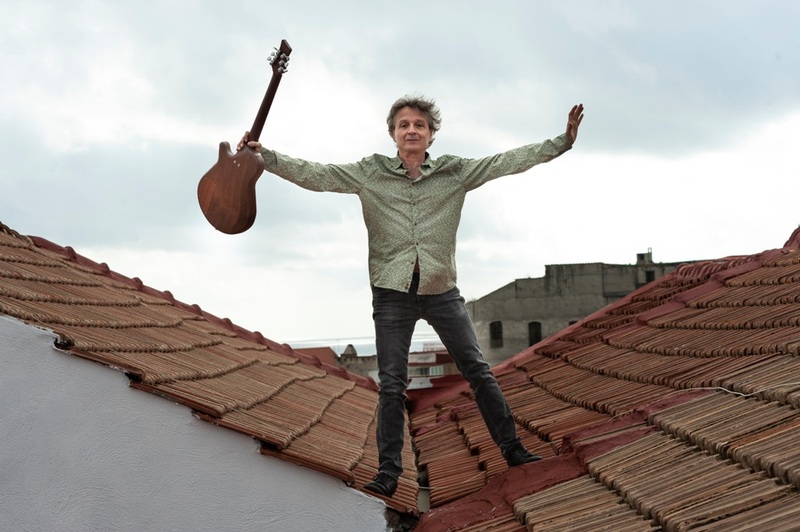 The album by Marco Gesualdi has been chosen by RAI COM for the quality and for the particular national and international musical themes: the tracklist is in fact composed of songs sung in French, Portuguese, Neapolitan, Apulian and Brazilian. Naples / Rome closer and closer. Do you often come to the capital? Yes quite often, now come to Rome by train from Naples is almost like taking the metro: an hour and you’re in the middle of the world! On March 23rd you will play with your quartet on the tramjazz in a traveling concert in Rome by night. How will you entertain the 38 spectators? I am very happy to play on Tramjazz, with Simona Boo, Guido Russo and Nicola de Luca, jazz musicians: we will do songs by Now, something from Open Heart (the previous CD), a tribute to Pino Daniele, and we will try to surprise you with a rereading a piece of Neapolitan tradition, with our sound, poised between jazz and world. In your music there is a lot of Naples but also Brazil, Portugal; the videoclip has some beautiful images of Senegal; Did Rome ever inspire you for any melody? The melodies of Rome are the basics of Italian music … I think of “Petrolini” that I find brilliant, as brilliant in other Morricone lines, but here we speak of Italy to the world, not a city ..
Do you have any friendship with any Roman artist? We know many musicians who live in Rome, a bit ‘of time ago I met a tour in Sardinia Bungaro and his band, very nice … and there are also many Neapolitan musicians living in Rome; my friend Maria Pia de Vito, for example, or Nicoletta Castracane, near the concert at the tramjazz I will try to invite someone. Never filmed a video clip in Rome? Some scenes from the video of Je suis la me, by the director Andrea Ranalli, were shot in Rome, are the scenes of the girl of color that goes around the city and sees the windows here “brillent” …. For the moment I’m concentrating on “Live”, I’m having great feedback from this new CD that I want to promote as much as possible, the “Concert” dimension amuses me and stimulates a lot … I wait for you on the tram, there’s no place ahead. .!